This is still a bit draft - will tidy up later! Performance review needs a performance review - the philosophy behind it, and the conversation are key. CEB research suggests we need about a 20% improvement in performance from employees to hit businesses' objectives, globally. Over the past 15 years we've seen about 10-12% improvement, but not enough, and current activities are only going to give us another 3-4%. Is performance management actually improving performance? CEB correlated performance ratings and business performance and found there was no correlation. We're not measuring performance correctly - those receiving highest performance scores aren't truly highly performing. We're getting it wrong 2/3 of the time! What are your goals for performance management, and what mindset do you want people to have? Then we can rebrand it. Josh's suggestion is that the current, wrong, unstated belief about performance management is that talent is fixed and we need to assess it. It'd be better to focus on how people could be better. And it's a belief. Lots of research suggests change is based on whether we belief we can change, eg Carol Dweck's research on fixed and growth mindsets again. You can see the impact on peoples' brains - people with a fixed mindset react much more strongly to negative feedback and don't show the signals necessary for later encoding . People with growth mindsets pay more attention to feedback they can do something about and that they can do something with later. People with growth mindsets become better leaders when they have a mentor, those with fixed mindsets the opposite. We're priming people for fixed mindsets, and by the way research suggests you can prime people in just 10 minutes. If you tell someone they are smart that's different than thanking them for their work and performance. But the first of these suggests a fixed mindset and is therefore counter productive. David suspects the higher up you go in an organisation the more you find fixed mindsets. If you say I can't the brain can't work. So instead say 'I get better the more I focus' - an important shift to make. For me, I think this reinforces an existing shift from using performance management for reward towards linking it with coaching and development. But there is a build here too. It's not just that there's a fixed mindset behind the design of many of our performance management systems, it's that these systems then create a fixed mindset in the workforce too. So a growth mindset is first likely to be more helpful in designing an effective system, but that system is then more likely to lead to performance too. I'm not sure that point is widely appreciated, or even if I had appreciated it myself. We then had an input from Steven Rice at Juniper Networks. One night they started to think about their HR architecture from an employee perspective, rather that how companies tend to think about their employees. Came across a simple and powerful question - where will you do your best? They want the answer to be Juniper. Many of their processes raised employees to question this. They've now linked all of their processes to their brand etc. And he went out with their Marketing Director to here how customers describe them. There was a disconnect between this and their internal value and behaviours. After having updated these, they were then accused of running performance management as a clear violation of their values and behaviours. To walk the talk they had to update performance management. This led to a relaunch of what they now call Talent Works. Reinforce the values and behaviours. One of these is trust so they couldn't have a process which was time consuming and frustrating. They don't do ratings or rankings now. And they've erased the terminology about performance management. He gets emails from employees aying this is the best process and best conversation. better corrleations performance and bonuses. When they do determine someone isn't a J player, employees seem to respond positively to this as well as it's helped them understand that Juniper isn't the right place for them. What's the trust of validation? The use of analytics to confirm that what they're doing is working? Note this is only part of a much bigger change, eg they removed all time off policies so people manage their own time. This no doubt makes the changes in performance management easier too. Secondly, you need the right type of conversations. Process the list of dialogues as process maps. The current process tends to lead to overwhelming threats where they can't process what you want them to focus on. the aim is a manageable threat. They also create a fixed mindset. So are people telling the truth or not? Would you let your customers come into the organisation during performance review week? Or is there lots of tension and frustration? Is it possible for a manager to be a judge and coach at the same moment? Maybe if we didn't have such socially focused brain. But as soon as we confront a status threat we tend to close down. Forced rankings in particular reduce trust and sense of fairness. If you have one you need to do an enormous amount of work - calibration processes etc - to manage certainty and fairness for people. If you're trying to manage it compensation it may not matter, but if you're trying to grow people, change their habits in an evolving workplace, you need to help people adapt. then traditional performance management doesn't work. We need to have conversations around habits not performance gaps - what type of habits are you trying to build? Habits are built on moving from impasse, insight, action. When you generate insight in the minds of another person, habit start to change. Inisghts matter because many problems they require it, and importantly because they tend to be more memorable than providing solutions. They also require a deep sense of engagement and they can then create wide scale, sustained neural change. It's not about the coaching model you use, but how this is used. But there is a philosophy around things which are personal, emotional and complex. The difficulty is you need to change managers' behaviour around this in a sustained way over time - helping them create insight rather than telling them what to do! Conversation Day. Change in vocabulary is important. They put the processes in the hands of individuals. Conversation Starter to talk about capability, contribution, careers and connections. This provides an opportunity for them to put forward their thoughts for their manager. How they connect to the organisations, whether they live and breathe the values, and how they need to develop and grow. It's a very positive conversation, and energy goes up which the conversations are going on. They then make the pivot to the 5th C - compensation. they provide the manager guidance and input so managers can use their judgement. HR doesn't prescribe or dictate. if goals are set well and laddering is used to provide feedback from peers and there's a meaningful conversation that the process goes quite smoothly. but there's no rating or ranking involved in this process. theres no data or labelling in the system. Transparancy is the process, so there's nothing to identify them as J player or a non-J player. Taking out the assessment, the idea you're being give a number, allows the shift from judge to coach, and quality conversations.. It doesn't mean not having any structure. One difficulty is a lot of ERP systems reinforce old ways of doing things. And Unions and Works Councils? - well they've got it through every single country they do business in. By the way pay decreases performance. In one study, when people had a £5 vs 50p payoff participants had a 10% drop in performance. (Mobbs, Psychological Science, 2009). It applies wherever there is any interest of fine in the work. People are getting over excited by the pay and this arouses the brain at the expense of what you want them to focus on. PPP helps with hiring and keeping talent but shows less link to improving performance than you might expect. CEB research suspests an 11% impact on performance but up to 26% increase in retention. So maybe if we do use PPP we use it for retention, and get creative about making this link, rather than pretending its about performance. David thinks the entire financial crisis was based on over excited brains not processing properly. Some really interested unexpected consequences. So how do we measure without ratings or rankings? Don't put people in boxes but think about people's progress towards mastery. If it's something of interest to the person there's a natural reaction to want to master it. this can be about contribution or values, and you can still put people in zones. The process works because it's based on procedural justice. Having a voice, being able to make a point etc. It allows you to predict that in the future you'll be treated fairly. I normally try to ensure my conference blog posts capture the key insights of the speakers and add on my own interpretation and perspectives. Today I've been reporting pretty much verbatim (though please don't assume I've necessarily reported what the speakers have said that accurately) and not adding much insight to what I've been reporting (though I was trying to do that a bit more on Twitter (using hashtag #2013NLS). Sorry but there was just so much new insight coming at me, partly because a lot of this was reasonably new to me, but mainly because of the design of the day and quality of speakers. And I guess I felt I didn't have that much to add. Actually I'm not so sure about this. David did ask everyone to switch off their mobiles, but they were also promoting the hashtag, even offering a report to the most prolific tweeter. And as I tweeted earlier, I still suspect that their suggestion not to tweet might have been some type of reverse neuro psychology brain thingy to get us doing exactly the opposite! - Tweeting or any form of multi tasking will reduce attention obvious making it harder to learn the content that hasn't been attended too. There's also an issue about adding to cognitive load possibly reducing the amount of time it's possible to remain in a good learning state for. But I'd argue the same point David made for shorter input sessions with more breaks and activities - I may be missing some content, but I generally manage to attend to the content which I find most interesting, and when i do attend and tweet what I'm attending to, the learning becomes more 'sticky'. - Tweeting something reinforces my learning. Writing it down, reviewing it later, responding to other peoples' responses - all these activities help embed the learning I've got from the day. - More importantly, I am being prosocial - I'm writing as communication for other people - so this activates the social circuitry Matt was speaking about, ensuring that my learning doesn't remain in analytical model alone. I've got no idea whether this is try of course, but it feels right to me. Of course, it's difficult to argue with David and his team as they've got evidence and I've just got my imagination and introspection as well as what I think is reasonable common sense. But I did take note of Jessica's reference to Carol Dweck's research suggesting that if we believe we are fixed or open to growth sets the basis for what we become.. So how about the possibility that their research is right - for most people multitasking does make you stupider. But that this depends on what you believe about multi tasking! If you believe you can you can (or at least you can process sequences of different short activities productively). I do, and I think I can. 2. Do we need to educate people internally about neuroscience? I was thinking about this in the morning, and then we had a session with Jose **** discussing how he is trying to extend his understanding of neuroscience within HP. And my question, which I didn't get time to ask, before moving into the session on trust, was do we need to? I'm not arguing that we shouldn't take account of neuroleadership. There is clearly some great insight emerging out of this field, even if most of it is actually from other areas of psychology, not neuroscience itself. We need to understand it, which is why I was at the conference. Eg I'm perfectly prepared to accept that HP may have made a different set of decisions over Awareness if their deliberations had been more brain friendly. But do they need to understand neuroleadership itself, or the learnings from neuroleadership? I think the key need is simply to ensure that management processes, and perhaps the 'culture' as well, are brain friendly. Eg that we should take the research on threat and reward states and ensure this is applied in performance management. But an individual manager and direct report don't need to know that the conversation they're having is supported by brain science. "I question the utility of appealing to ‘the brain’. The point is, surely, that people are deeply social. Yes, of course people are controlled by their brains and there is a fascinating discussion to be had about how the brain instantiates social behaviour, but that really doesn’t seem relevant to the kinds of organisational processes that you mention. Understanding that, say, theory of mind is dependent on the medial prefrontal cortex doesn’t provide you with any extra helpful information, if what you’re interested in is changing behaviour." But then I accept there are some potential benefits from getting people to understand the research. Firstly, this forms part of an evidence based approach and therefore makes presenting an argument stronger. As I noted above, it's hard to argue with David's perspectives as he clearly has so much science behind him. Having said this, I think there are dangers to this approach as well. In particular, it means we are perpetuating the analytical way of reasoning within organisations, whereas what we should really be doing is to find more opportunities to encourage people to turn this off and spend more time with their social networking circuitry activated. So a more important reason why we may want to educate more people about neuroscience is that doing this can help activate this social network. I was struck by the research and inputs around, for instance, asking people about why other people are feeling things rather than just how they are feeling. And I'm sure I've seen some research earlier that simply showing people a picture of the brain plays a role in helping believe facts that are being presented at the same time? Talking about the brain is one way of helping people mentalise about others and that's definitely something that we want them to do. Eg I was talking to someone from one of the big global banks last night and they incorporate neuroscience within their onboarding! My suggestion to Jose would therefore be to concentrate on getting HR and L&D on board, ensuring that all people management processes are brain friendly. But also continuing to extend understanding of neuroleadership within HP where there is interest and energy to do this. And finally just to note that encouraging HR to understand neuroscience isn't really about neuroscience, it's a much bigger issue about understanding inputs from a broad range of academic fields, bringing insight and practice much closer together. For the final system, we're going to try to understand wisdom in leadership! We started with a working definition of wisdom - something about responding to changing stimuli in a complex system. Diana Barea, Accenture - Drawing insights - working as an ensemble of leaders who complement and work together - working with technology that makes them more effective than humans along would ever be - an extension of their own insights and takes pressure off them as all knowing, all seeing leader. Geraldine Haley, Standard Chartered - Being adaptive. the industry has changed and become more complex - different stakeholders, new purpose - doing good vs being profitable. leaders don't have all the answers any more so traditional ideas gone out of the window, Exploring new paradigms. Andrew Dyckhoff - leaders understand they need mentoring now - they're feeling overwhelmed as they've built a myth around themselves that they're very good at many things. but what brings success is self knowledge about what I do uniquely well. We're all rife with biases and prejudices - the art is understand our own biases and assembling the best team around us. David Rock - teams make better decisions than individuals. But there is a relatively fixed iQ of a team. The key variable is the social intelligence of the teams rather the individuals' IQ. Capabilities around pragmaticism, emotional balance, self-understanding etc - all these different stakeholders. Paying attention / mindfulness. Otherwise you miss all the social signals - need all your channels to pick these up. Self regulation: being able to change ourselves on different levels. Priming ourselves and changing the signals, altering on the fly. Activites during labelling, regulation and other activities. Leaders need to be able to stop themselves shouting at their teams, having a phone call vs sending a 16 page email etc. Goal focus. The capacity to hold in mind something in the distant future. Perhaps quite subtle, conceptual goals. Note the purpose of a leader is to see things others can't, which is also the definition of insanity. This is the easiest attribute to test for etc, so we already have lots of goal focused leaders. A non-issue. Andrew - It's difficult to develop these capabilities as leaders have got where they are by focusing on different things. Social cognition, eg using David's SCARF model - status, certainty, autonomy, relatedness and fairness. It's not just about having a language, but how you use this language. Eg after the fact you can use it to explain a day that went wrong. but interesting is during a conversation - 'there's a threat response here, let's deal with it'. Shift to the reward state. Insightfulness - problem is that managing ambiguity often requires creative solutions. Unconsious thinking is needed, especially for complex issues. but brain is often distracted. need to ask questions and leave time for unconscious to bubble up, signals need time to come through. Andrew: Pre frontal cortex is tiny compared to rest of the brain. Need to think beyond logical thoughts. But gut feel is a triumph of instinct / impulse over insight. Geraldine invited 15 leaders most critical to China to come to China and have a different experience and reappraise the strategy for China. They went out on a bus to the countryside. They re-evaluated strategy, and SC can see how they're not thinking differently about other things. David - reappraisal is seeing possibility of doing different things, having different opinions. You are not your thoughts, you can have different thoughts and choosing different pathways. Difficult without diverse experience. Diana - leaders need to let go of existing habits - challenging. Particularly if they believe toxic behaviours are the right things that the organisations want them to do. What do we know about improving these processes? We can increase peoples' mindfulness. It's not easy but it does have robust effects. There are solid studies of extended focus on mindfulness - but we haven't yet properly tested benefit of 2 or 3 minutes a day. But we do know mindfulness physically changes the brain. Self regulation - things like labelling emotions and discarding them. Stress innoculation - putting leaders in scary places so they learn to manage their emotions and can manage other situations. Developing physical regulation helps emotional regulation too. Social cognition is a big one. We can improve social intelligence. Taking account of other peoples' perspectives helps understand others. Increasing face to face interation vs using digital helps. What can we learn from women? Women are better at symphasising before they read an emotional cue / an experience - really helps with emotions. But when men are sufficiently motivated, we're almost as good as women. We have the circuitry. There's a motivational issue. Insightfulness. Harder to improve. Have that nap, have a good night's sleep help get back to a baseline. Beyond that, there's always going to be high variance between people. Direct experience has the greatest impact but the hardest to get leaders to do. And in terms of social cognition, a more mindful leader recognises social cues better too. Geraldine - helping goal focus by getting a team together and have them all talk about feeling re the goals. Diana - use ramification and Second Life??? Diana / David - use concrete activities with social pressure support. BTW< how do you change these habbits (see 'Turn the 360 around')? Right, that's it. I will be trying to post a personal reflection on all of this on the train on the way home. And I'll be back for the session on performance management tomorrow morning! It's been a while since I've felt compelled to post more than one on a conference but the NeuroLeadership Summit is on fire! Attention - memory falls apart when there is divided attention - eg if you're tweeting or otherwise multi-tasking. Particularly if tasks are difficult. So multi tasking is the enemy of learning as well as performance. Generation. When we create our own links, connections to new ideas create new handles to access information later. Eg to social information. So think about eg how it relates to David Rock as that would be a trigger. Emotion - a little bit of emotion indicates to hippocampus this is something to pay attention to. Amygdala is connected to hippocampus and recognises this. You're looking for a little bit of stimulation - too much is a threat. Spacing - coming back to the information. We grow our memories - not things we put in a box. Need to make structural changes to our synapses etc. If you spend 3 hour studying something you haven't allowed much neural time to occur. 45 minutes then 45 minutes the next day may be more effective. It's especially effective if you have a sleep cycle between the sessions. So think who would I like to share this with later in the week? - after sleep, plus there's a social element there, you're making connections and you're engaging with spacing. David Rock suggested people feel great about multi tasking but you miss stuff and become stupider. Think about a single learning activity - if 20 minutes - how much of this are people really focused on your ideas. Caroline Webb compared today where people have been asked to switch off their devices and not tweet etc (sorry) to Social Media Week yesterday. She did a session last week that had an iPhone creche for people to leave their devices. Ability to recall goes down. Encoding goes down. For Gen Ys bad as serious withdrawals from a drug so a double edged sword. How long can you get it for? Give them a predictable break, eg after 20 minutes / 1 hour. Be present. Social is one of strongest bonds with attention. Efficiency - bunch things together as much as you can. let go of some of the content - spend time on reflection and recognition of successes. Ownership - Caroline never uses cases. Good for learning facts and techniques. not so good at behaviour - get people to change. Always get people to work on their own stuff even if that looses communication etc. Allow people to choose where to focus. Or the group to decide their own ground rules. Social learning - peer learning groups rather than individual coaching. Group review successes together and shares learning together. Meta learning from stepping up and thinking about how to help other people is profound. Participants doing end of day summaries themselves, so they remember more. David reinforced that running shorter sessions is useful even if people learn less because what they remember will be more sticky. Architecture - we don't think long enough about the architecture of what do you want to get across. We create disconnects - how does one thing relate to the other. The brain seeks symmetry and hierarchy (the cortex is physically in a hierarchy). If we offer conflicting hierarchies - objectives, values etc it leads to incoherence and threat response. If it all fits together beautifully, if there's a clear weave you get a reward response, and you reanimate everything you've learnt. Embedding research. You can work on one habit at any one time but we often ask leaders to work on five or ten. These are basic biological constraints that we can't get around, so work with it. What does it take - what activities and what type of activities does it take to change a habit? Attention. We are real limits to shift every 15 minutes - move people around, balance talk with conversation etc. Think about physiological and brain limits on learning. By the way you can use social media as a different, engaging way of connecting - trusting people and allowing them to contribute. Today I'm at the NeuroLeadership Summit in London - the 9th they've organised but the first in the UK. We've got 148 people here - 78 from UK - others from Europe and further afield. I attended the US one via video link last year and am really pleased to be attending this one in person. We started with a quick introduction from David Rock and then a great session from Matthew Lieberman on the social landscape - you can see my post on this at Social Advantage. And we are continuing with a session from Jessica Payne on developing leadership stamina - to be able to lead effectively, and over the long term. The session was moderated by Lynne Chambers at Rolls Royce. Stress is good for us, but we don't have to run away from or fight sabre toothed tigres any more. But we put ourselves under high levels of stress everyday. If you deliver a negative performance review, constructively with right facial emotions you get a better cortisol response than if you say something positive but look critical. Chronic levels of stress / PTSD causes high levels of cortisol and a shortened hippocampus. Stress kills brain cells. It impacts both memory and cognition. The hippocampus is more important for neutral memories but the amygdala is for negative ones. The amygdala takes over in high stress situations. So stress enhances negative emotional memories - something to avoid. We need to pay more attention to our parasympathetic system which helps us regulate our fight or flight response. Positive mood has a big impact on things like problem solving. Brain activates just before you solve a problem - again impacted by positive affect. - Use your positive, energising social resources - you're not a silo! - Labelling - just by labelling what you're feeling you tend to moderate your responses to it. Sleep is more effective than drugs etc, and free as well. But needs discipline. If you're sleep deprived you might as well be drunk, but it's not as much fun. You may feel you're fine, but you will be suffering. Sleep is beneficial for all types of health but particularly for cognitive health. It really is for our minds and brains. It's not a single thing but a collection of diverse states of consciousness each with a different purpose - coming up with insights, inferences etc. The key is deep / slow-wave / grade III / IV sleep early on in the night which is key for deep recall. Dreams occur in REM sleep later in the night - often crazy but potentially useful (eg Kekule's dream about benzene). The sleeping brain is highly active - more active in REM sleep than some period of wakefulness. These include those areas of the brain which are critical to perform at work - so we should care much more about our sleep than most of us do. The first thing that is impacted is our emotions. For example we only remember negative images not positive or neutral. Why do we get so messed up and dysregulated? Sleep deprivation is a big stressor - why it is often used in torture. I seem to have been posting quite a bit on recruiting recently, which I guess is natural, given the recent growth in activity recently. But what about induction? We’re not going to get the returns we need from recruiting if we’re not onboarding new hires effectively. And after a lull in recruiting activity it could be a good time to take induction off the shelf and give a dust over. 1. Have some clear objectives for what you hope to achieve. It’s useful to provide some KPIs you can measure against. It will also help ensure you can focus on the things that are going to make the biggest difference to someone’s potential and success. 2. Probably the biggest shift can often be just raising the level of ambition about what you’re trying to do. Don’t just focus on activity, set the goal of achieving some stretching and useful outcomes to raise the level of the bar in terms of the capability of people working in the organisation! 3. Ensure induction and recruiting are well integrated. This covers two objectives, Firstly, it’s about doing the simple things well - ensuring that new hires get the induction that need, when they need. 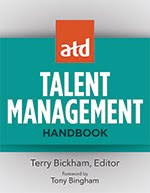 Secondly, it’s about allowing you to make more nuanced decisions in your talent management. For example, allowing you to compare an excellent candidate who fits all of your specifications, but who might be quite expensive, with someone who doesn’t quite fit the bill - but with the right induction and onboarding, could be a star performer, and would be significantly cheaper too. 4. Guide rather than assess your new joiners through their induction, training and probation. Don’t expect them to fail and don’t worry too much about catching them if they do. Put your effort into supporting them to ensure that they don’t! 5. Personalise the support. Don’t treat everyone the same - we’re not, so don’t act like we are. I loved this research from Harvard Business Review –that focuses on finding and emphasising the importance of focusing on peoples’ strengths. Find out what they can do, what else they need, and then, deliver it. 6. Start referrals! The best time to generate employee referrals is often before your new hires’ existing contacts start to reduce both in numbers and depth of the relationships involved. Help your new starters spread the word that they’re joining you, and you may find some more great people too. 7. Think about the team! You may only be inducting one person now, but it’s not just that person that’s going to have to change. One new person means a whole set of altered relationships. Broaden the focus to the other people they’ll be working with - how can you ensure they’re onboard and ready to work with the new hire too? 8. Make it social! This is partly about helping new hires use social tools to find out about company information, and make the contacts that they’ll need. But it’s also about getting them using social tools as well. Have them tweet / blog or otherwise update on their experiences - it’s a great way for other employees to get to know them and does wonders for their own learning experience as well. 9. Make it fun! Induction can be deathly but it doesn’t need to be. Give your new recruits challenges and activities, games and assignments. This doesn’t need to involve gamification but it probably shouldn’t involve a big, heavy manual to read either! 10. Use technology. Technology is never the full answer to anything, but it’s an increasingly big part of the response to most questions. Most of the other ideas listed above will be that much easier to implement with a sound recruiting and induction platform in place. Yesterday was Symposium Events' latest session focusing on innovation in recruitment. It was another great conference put on them by them, and I'm really looking forward to chairing their HR Business Partnering conference in a couple of months time. Although there were a number of excellent sessions focusing on different areas, my greatest inspiration was around the outsourcing angle that was a key focus of the conference. In terms of outsourcing, I think one of the things that made the conference work so well was the mix of practitioners and outsourcing providers. And the other was some excellent speakers. Greg Allen from Lloyd's Register gave a riveting talk which woke everyone up nice and early, suggesting that he'd tended to rely on 'recruiting by probation' i.e. not bothering to set up an interview between manager and candidate (which had the additional advantage of reducing age bias) but simply giving them a technical test and then leaving it to customer feedback during the probation period to see whether someone would stay in their jobs or not.) Not good!!! However, LR have now introduced a Licence to Operate which I think is a great idea. Other ideas included that the recruiting shouldn't be done just by Recruiting and HR or they become part of the kicking culture that is normally directed at the RPO. And I wasn't too convinced by the idea that you should ask potential vendors about what they have they you need, or what they can contribute to the business (rather than forming a rather tighter specification yourself.) However I know myself that I like to be part of drawing up my own statement of work, rather than have to work to a redeveloped contract, so I'm prepared to agree that the scoping conversation should be two way. And Greg did say that you shouldn't just do what the RPO wants, so for example he involves the RPO in screening to provide more data rather than hearsay within the process. Greg's approach also seemed to produce benefits for LR, introducing them to new technologies including Avature CRM, HireVue video interviewing and Hollaroo alumni communities. Which was clearly a good thing, but again, if I was a Director of Recruiting I'd want to know about these things (and their alternatives) myself. Andrew Wilson from Visa Europe talked about the importance of developing a special relationship with the vendor and not treating them like a slave. I completely agree with this -- avoiding a kicking culture rather than deflecting it onto the RPOs has got to be the right idea! The approach seems to have worked well. The agency acts on behalf of the organisation, eg posting to their social media streams. And it has supported a 16% reduction in Time to Fill and a 25% reduction in Cost Per Hire, plus customer satisfaction has increased as well. But we didn't get to find anything out about Quality of Hire, which I think was a pretty significant omission. My other way was that despite being well impressed by VE's approach to partnering, I was left wondering how far it would go. VE's Twitter stream is OK, but not very 'social'. If they wanted to use it for developing conversations and relationships rather than for just posting jobs, would their RPO partnership still work? The UK's recruitment sector is based heavily on an RPO based model but I left the conference still thinking that it probably shouldn't be. Yes, there are some good partnerships and good vendors around - it was great to see some of these sponsoring the conference. But technology is making it much easier to do things in-house, and the idea that you need to outsource to gain access to the technology is bizarre. If your firewalls are so tight your IT team won't let you on these, find a way around them (some non networked PCs, or how about an ipad???). Or just fire the IT Director. And even with the special relationship between company and vendor, making outsourcing work in an increasingly social environment is getting harder and harder to do. Easier just to do it yourself; I think. So my suggestion, from this conference at least, would be: don't just innovate - obliterate! Another great evening at HR Magazine's Most Influentials last night, and I was pretty pleased to come in 7th position in the UK Thinker list. I was especially pleased with the leap up the chart given I've not been blogging or tweeting that much recently. So I think the recognition is largely for my consulting, training and speaking etc, rather than what I do here. And actually I've never really had that strong a social media presence outside my blog - e.g. my Klout is currently just 55 - well below many of the social media super users and quite a few other people too! So, I'd support my previous advice that HR people wanting to be influential should be on social media. However, I'm not sure about the rest of this advice. I had suggested that the old guard were going to get thrown out, and thew new lot would be social mediaistas. I don't think that's going to happen now. Instead, it's existing influencers who are taking to social media to extend their influence, in the way I had suggested. 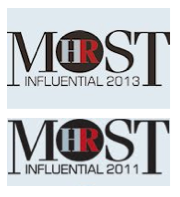 And it's these influencers who are continuing to influence HR - not the social media using twitterati. Sorry - i got this one wrong but I still believe most of the things I try to influence HR around are right!!! 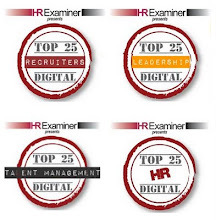 Anyway, I'd like to take the opportunity to thank those HR Directors who put me on the list. And remember, you can also recommend me on Linked too! BBC and the need for people professionals first! After the BBC human resources director was accused of presiding over “corporate fraud and cronyism” over huge pay-offs to former executives, Louisa Peacock asks whether women really want to work in HR anymore? Lucy Adams could be the 'wicked witch' that changed the face of HR forever. It was brilliant advice, says Adams. “I’m first and foremost a business person. I’m a leader of an organisation who is responsible for HR, and coming at it from that angle is very helpful,” she says. I think this business person first perspective is complete tosh, and inhibits us from making the contributions we so need to do. HR professionals who are responsible for organizational design or development know how important it is to create the right attitudes, behaviours and ways of working rather than just focus on roles, processes and formal reporting relationships within an organization. 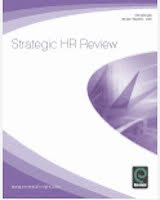 As HR practitioners we need to determine to what extent we (HR) want to focus on our business and our people. The prevailing thinking is that we need to become ever more focused on the business and the language of the business (e.g., finance). But if this is the direction we take, we risk losing the opportunity to demonstrate the contribution that we as HR, can make through a people-focused strategy. 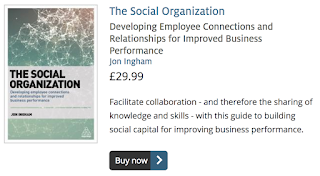 In this webinar, HR consultant and author of Strategic Human Capital Management Jon Ingham, will look at why it's important for HR to focus away from finance and onto the things that will really make a difference to business performance — the people working in a business. Hope to catch you there?